Since I have a bachelor in computer science ad work as a software developer, quite often I get asked things like: “I’ve got an issue with my printer, could you have a look, please?”. After spending few seconds swearing in my mind, I end up being on Google, copying and pasting the error message and hoping for someone on Internet having the same issue that already solved it. Since I got passioned about photography, the question is different, the scene is the same though: “I’d like to start taking pictures, what camera would you suggest? I can understand the answer sounds a bit generic and maybe a bit upsetting for someone. There’s a good news though: rather than getting lost into an infinite list of weird terms and technologies, it would be much better making the right questions in order to know what you actually need. In this article I’ll show you which are the features I think are important when you buy a digital camera for the first time. I’ll try to keep the technical level as simple as possible, as you’ll have plenty of time to learn once you have your camera. What really matters now is just what to buy! So, without any further ado, let’s get it started! What usually comes out is that they were suggested to buy that camera from a photography expert friend of them, whom probably know all the technical qualities of that camera, but didn’t worry too much about its weight and size! Beyond understanding the theory of photography, the only way to learn how to take pictures is to keep practicing constantly. It’s obvious then that you should bring your camera with you as much as you can. If abandoning this hobby depends on the boredom of transporting a heavy and huge camera, probably you should better think more about it. It’s ok to check online for size and weight, but you’d better go to a shop, take the camera with your hands and check in person that you feel it yours rather than a heavy object that will end up soon in your storage room. Manual or automatic settings? This is the (photographic) question. When you take a picture there are two main aspects to think about: technique and artistic vision. As regards technical aspects, a digital camera can take decisions for you quite well. When it comes to the artistic vision though, this is just up to the photographer depending on his/her personal interpretation of things. Purchasing a high-end camera won’t make you take better pictures! This is the reason why it’s important to control your camera using the manual mode, which is the photographer chooses autonomously the camera settings so to obtain the right exposure, or less formally, capture the right light amount. If you want to know wether a digital camera supports manual control, just look on its control dial for the letter “M“. My personal definition of photography is taking my time and put aside the daily frenzy. A sport photographer would have probably used words like “dynamic“, “power“ or “fast”. It goes without saying that the feeling transmitted by the pictures will be totally different! In order to achieve this, you have to make also some decisions when you buy a camera. If you’re a beginner, it’s pretty likely you won’t focus on a single photography genre. If you are passionate about sport, you want to take pictures of your dog while he’s playing or any other situation where speed is the key, then it’s quite likely you’ll need a camera working fast enough when you take multiple pictures in a short time (if you have ever seen awesome pictures freezing the right moment, you should know it’s actually a good shot from a long series of bad ones). This mode is called burst mode, while the burst capacity of a camera is measured in frames per second (fps). Just to give you an idea, professional photographers shoot from 8 fps or above. Nowadays a smartphone is capable of taking very good pictures. This let many people use it as their main camera. Said that, there are some cases where you are in a tricky photographic situation, where the smartphone shows all its limitations, for instance, taking pictures at night. The main reason for this limitation is because of the digital image sensor. Without going into technical details not relevant for this article, a sensor is the digital version of the classic photographic film. Think of it as a rectangle composed by tiny cells sensitive to light that, thanks to a complex mechanism, converts the captured light from each cell into a pixel, that is the smallest piece of information forming a digital image. Although the principle is the same, digital sensors aren’t all the same. What makes them different is listed below. If you take a photographic film as a reference, the format represents how smaller or bigger a sensor is related to it. You can find several standard formats on the market, each one with a name, sometimes they change depending on the brand. The size of an image sensor strongly influences the digital noise, that is an unwanted thing on a picture, as you can see it as a random bunch of spots spread around the image. You can easily see them with pictures taken in low-light conditions. Image sensor size and digital noise are inversely proportional. In other words, the smalle the image sensor, the more digital noise you will have in your picture. A professional camera has a image sensor format called full frame, meaning that its size is equivalent to a photographic film one. A smartphone digital sensor size is 1 / 2.5”, that is 6 times smaller than a photographic film! Digital noise is visible as a random bunch of spots, more visible in dark areas. If you’re wondering, there’s no relationship between the image sensor format and the image size. That’s because image size depends only on the number of pixels an image sensor has (often you’ll find this information wrongly named resolution). 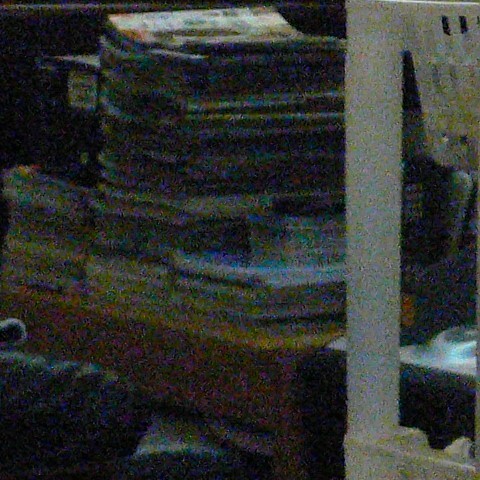 This quantity is measured in Megapixel, that is millions of pixels. 16 Megapixel sensors are good enough. Bigger values are important only if you need to crop your pictures, keeping a decent image size, or if you want to have a big print. It’s quite common that camera manufacturers tend to highlight the number of pixels for a given camera, because it will actually creates big images. Don’t make the mistake of considering only this though: given two image sensors with the same pixel count but a different format, the smaller one will have more digital noise issues than the bigger one, although ther pixel count is the same. This paragraph is just for the sake of completeness. When you read the tech specs of a digital camera, most probably you’ll read acronyms like CMOS or CCD. They are two different type of technologies used to build an image sensor. Even if this could make some differences in terms of quality, I’d suggest you to forget about them, as we’re talking about subtle differences that not even a professional photographer might see. Nice picture! Is it edited? - Yes. - Uhm, I prefer untouched pictures, they’re more natural. If you are one of those saying this, I have a bad news for you: all digital images are retouched, even the ones you took! To understand this, let’s go back to the past, when digital photography didn’t exist yet. In those years, before you could enjoy your holidays pictures, you had to wait so to get your film being developed. And it was too late when you could finally realise you cutted out your friend’s head in every photo! Fortunately an American company called Polaroid introduced a new type of film, known as instant-film, permitting to take a picture and develop it straight in your camera in less than two minutes. Instant photography was finally born. 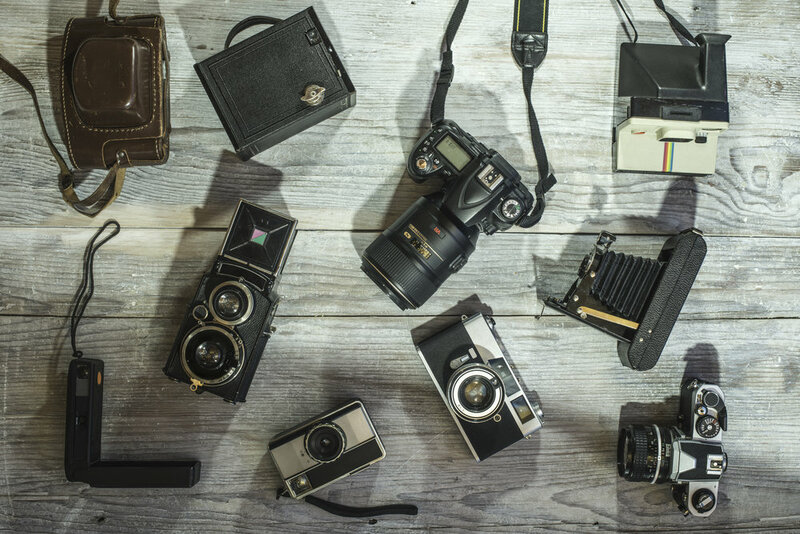 If you were a professional photographer working in those years and had to choose between a Polaroid (or similar) and a classic camera, what would you choose? I bet you opted for the classic one. And you’re right: an instant camera can be very quick and although all the improvements introduced later on, it never substituted the classic film in professional photography. It’s not just a matter of quality, the main reason is that developing a film in a darkroom let the photographer the full control of the final result, as he could change the developing time or adding some adjustments. A Polaroid doesn’t permit this. Moving again to the present, any digital camera let you see on a screen the picture you took immediately after you pressed the button, so you don’t have to wait anymore for the development to be done. Despite this, there are analogies between modern cameras and the old ones. As you probably already know, when you take a digital photo, the image is saved in a memory card as a digital file. Files have always a suffix in their name, identifying their type. What is it? A file type is a standard used to encode and decode the information recorded in it. In this way, any hardware or software supporting that file type can read it properly and show it in a nice way to a human being. In our case this information is the image. Among several file types used to encode and decode an image, the most popular one is JPEG, which is the one universally adopted by all camera brands. Its main advantage is the small size of the file itself. In other words, if you shoot in JPEG, you’ll be able to record on the same memory card hundreds (if not thousands) of pictures. The drawback is that, to obtain a small file size, JPEG gets rid of many information from a picture. In fact the algorithm to obtain a JPEG file is called data loss compression. Because of this, before deleting this information, your camera automatically applies some corrections to your picture, creating then a final version, like a Polaroid used to do. Professional and semi-professional cameras (also some advanced non professional ones and smartphones) support another file format known as RAW. As the word suggests, pictures are saved into memory as the image sensor sees the scene, without any adjustment applied on it, which is exactly what a classic film camera does. As well as you couldn’t appreciate a picture just looking at the film, in the same way you can’t appreciate a picture looking at the RAW file. This means that photo-retouching is mandatory. Since this process is the evolution of the darkroom, when you read something about photo-editing, you’ll probably hear the term light room, that reminds the old times. Instead of working in a room in the darkness or barely illuminated by a red light (safelight), you’ll have a computer in front of you and Photoshop, or any other photo-editing software. Both file types have pros and cons as you can imagine. Below you can find a table resuming all of them. Obviously there isn’t a choice that is good for everything, it just depends on your needs. Just to let you know though, if a digital camera supports the RAW type, it supports JPEG too, not viceversa. The list of things you may want when buying a digital camera could be much longer. I honestly think those are differences not very relevant if you’re a beginner. This is why I think it’s good to stop here. In the table below you can find the main camera types available on the market. For each one, there’s a rating related to what we talked about in this article. There are always exceptions: you can buy a high-level compact camera which is better than an entry-level reflex. So, use the table as a starting point just to get an idea about what you may want to buy. Don’t forget to always look for reviews and tech specs, since you know how to read them now.